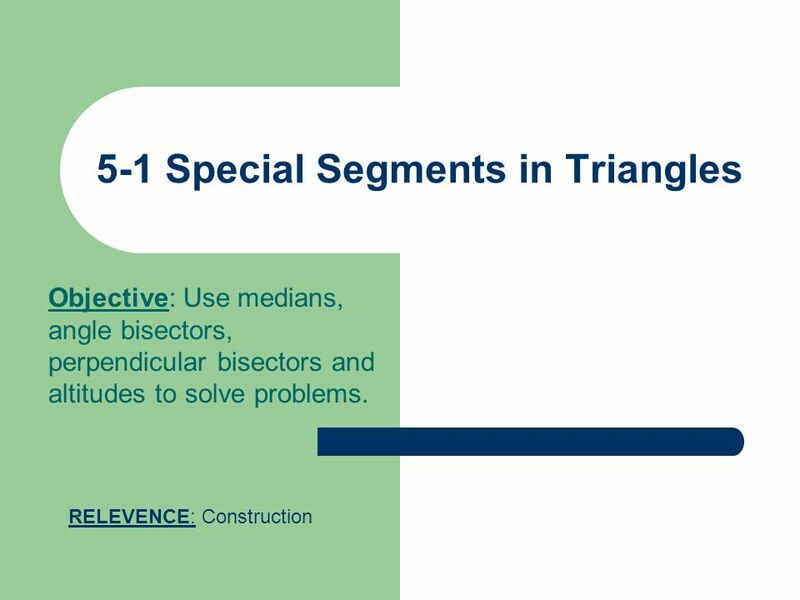 Download ppt "5-1 Special Segments in Triangles"
DO NOW Sketch each figure. 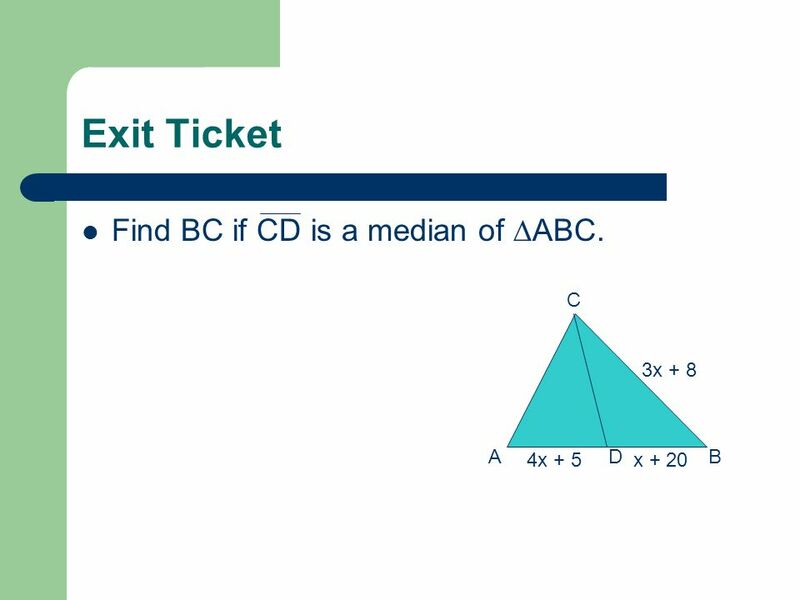 CD GH AB Line m Acute ABC XY II ST.
Unit 2 Find the Midpoint of a Line Segment Learning Goals: I can find the midpoint of a line segment by applying what I know about averages. I can solve. Steps to finding equation of median. 1.Find midpoint of opposite side. 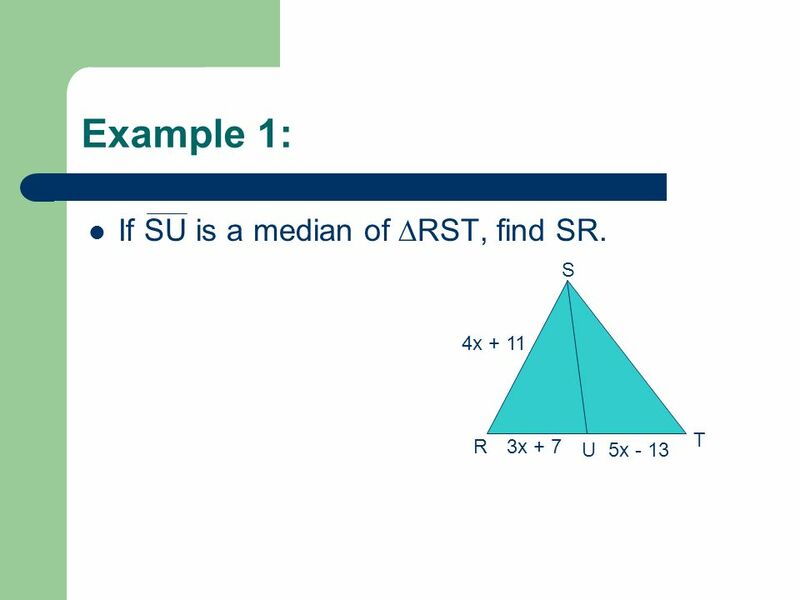 2.Use vertex and midpoint to find slope of median. 3.Use slope and either vertex. Keystone Geometry. 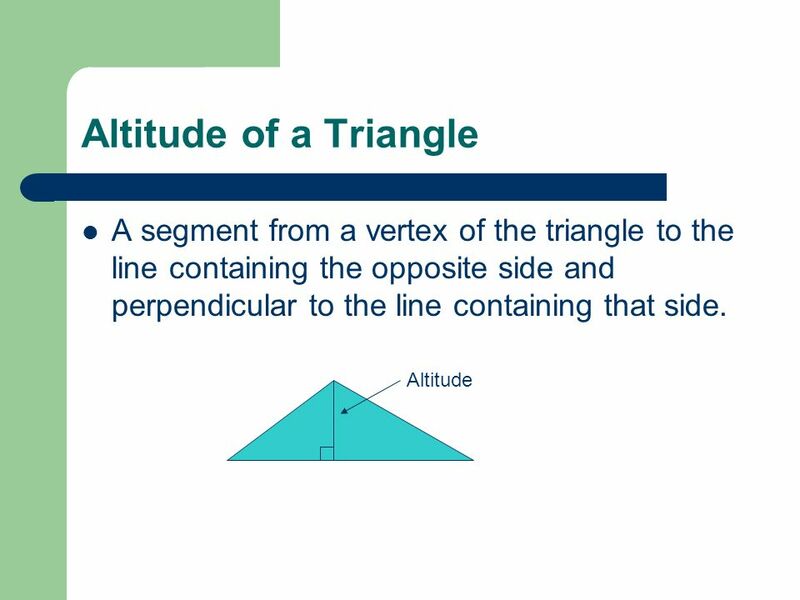 » There are four types of segments in a triangle that create different relationships among the angles, segments, and vertices. ˃Medians. Chapter 5. 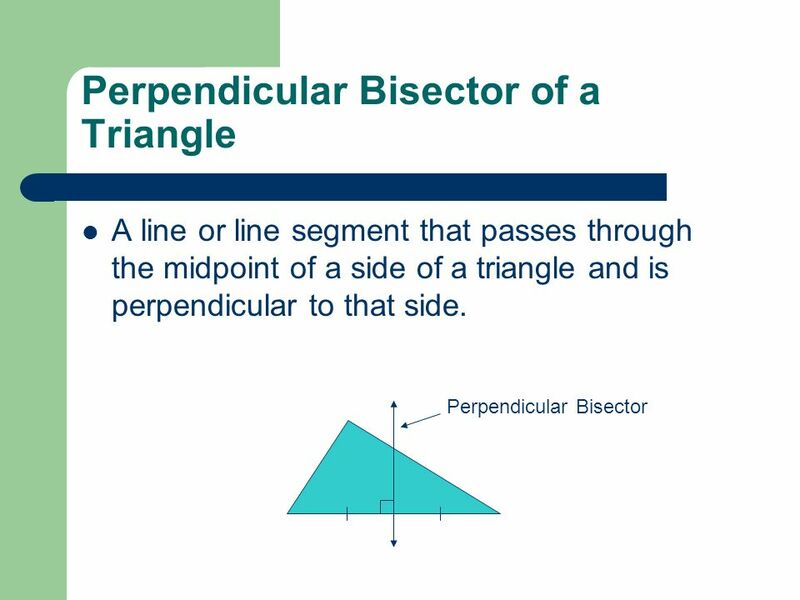 Vocab Review  Intersect  Midpoint  Angle Bisector  Perpendicular Bisector  Construction of a Perpendicular through a point on a line Construction. 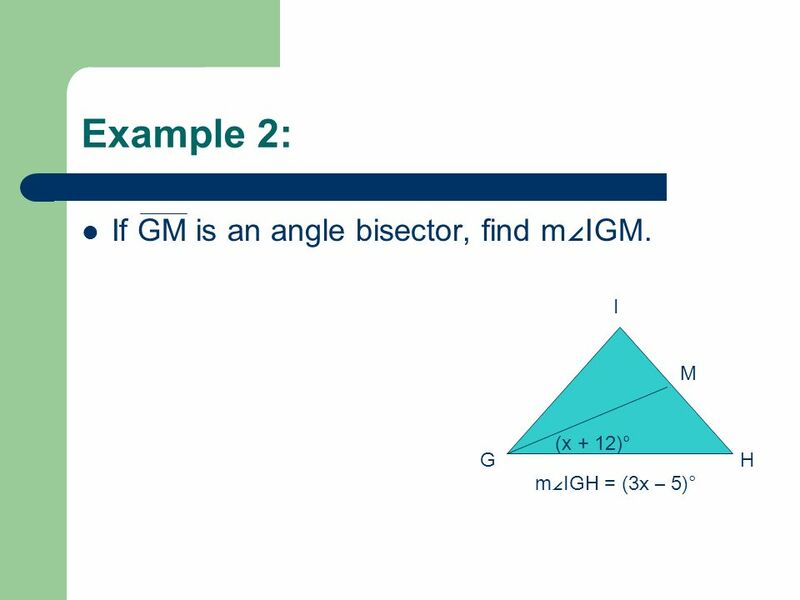 Medians, Altitudes and Angle Bisectors. Every triangle has 1. 3 medians, 2. 3 angle bisectors and 3. 3 altitudes. 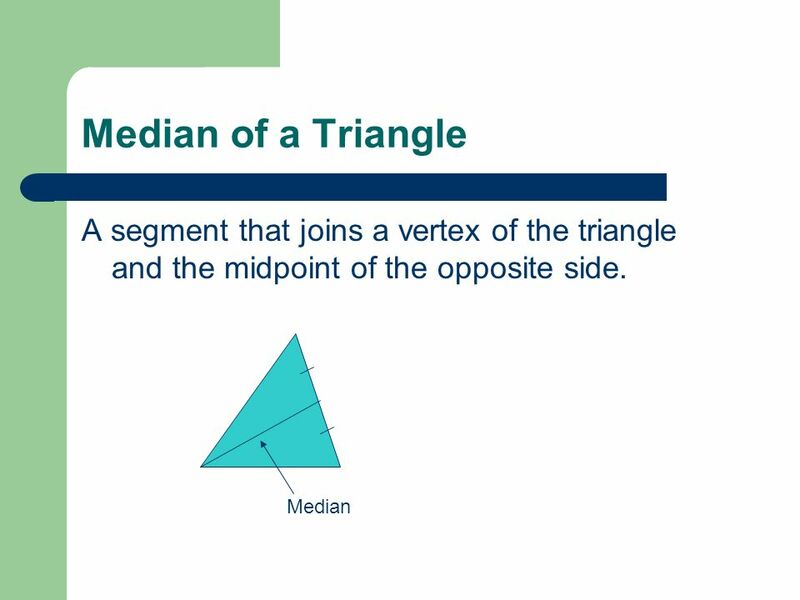 5.4 Medians and Altitudes A median of a triangle is a segment whose endpoints are a vertex and the midpoint of the opposite side. A triangle’s three medians. 3.7—Medians and Altitudes of a Triangle Warm Up 1. 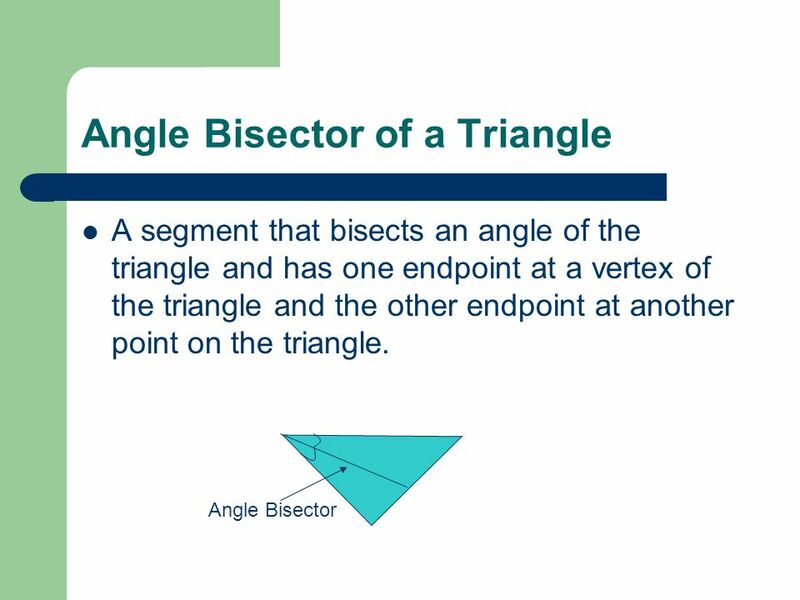 What is the name of the point where the angle bisectors of a triangle intersect? Find the midpoint of. Medians, Altitudes, and Angle Bisectors Honors Geometry Mr. Manker.